Character properties are steeped in historical features that add real personality to your home. In the UK character buildings are a signature of our heritage, and require the utmost respect from their owners when it comes to maintenance, due to their age and traditional construction. While their architectural structure provides you with much more space than modern homes, historical properties require regular preservation to ensure the integrity of the property remains. What appears to be a tiny problem can soon escalate and put your home at risk of serious costly repairs later on down the line. Unlike modern houses, character properties need regular care and attention. As regular service providers to home owners in character properties, we’ve put together our knowledge and expertise to help you keep your home in the best possible condition. There are a handful of checks that you can carry out yourself to ensure your property is not falling into disrepair. These may sound simple, but these areas are commonly known to be the start of much bigger issues. Damp – It is imperative that you regularly inspect your home for signs of damp. Poorly ventilated spaces can cause timber to rot, plaster to flake and bricks to disintegrate. Checking roofs, gutters and downpipes often will help you to keep damp at bay as soon as it occurs. Pests – While small rodents may just appear as an inconvenience, they can cause significant damage to a period property by chewing through wall cavities and cables. Laying traps in the winter periods will prevent rodents from nesting in your home. Water pools – Heavy rain can quickly become a flood issue if the property does not have the correct external drainage to manage the excess water. When bad weather occurs make a note of any areas surrounding your home that have begun to pool and contact a tradesman to adopt a suitable drainage system for these areas. Trees – Many character properties hold the charm of being surrounded by some of the oldest living trees in Britain. While this can provide added beauty, old trees can also pose a threat to heritage buildings if they begin to die or rot. Regularly inspecting any surrounding trees will ensure that dying trees can quickly be maintained by a tree surgeon and be kept in a safe condition. For a full checklist that you and a trade professional should complete on a regular basis, visit our character property check list here. The most cost effective way to maintain your property is with regular checks on key areas that you can do without the need for a trades person. Make a list of all the areas that you can check, and diarise them into a calendar so that there is a system in place. Even adding reminders in your phone can be all the prompt you need to take a walk around your property. And a habit such as this could soon help you save thousands of pounds. Identifying any issues as soon as possible will improve its overall condition and help you to anticipate where problems might occur. Neglect is by far the costliest mistake you can make when owning a character property. Periodic maintenance such as this will dramatically improve your properties overall condition, and keep problems at bay. If you have only recently purchased a character property it would be advisable to seek professional advice before implementing a maintenance plan. This can help you to understand the structure of the building, and identify any particular weak spots that need to be consistently inspected. Home Buyers and Valuation Report – While a valuation survey is usually undertaken by the mortgage lender to confirm whether the property is worth the amount of money it is being sold for; a Home Buyers and Valuation Report may be more beneficial, as this is more detailed and follows a strict guideline created by the Royal Institution of Chartered Surveyors. Building Survey – For period properties a building survey is essential in order to understand the full condition of the house. 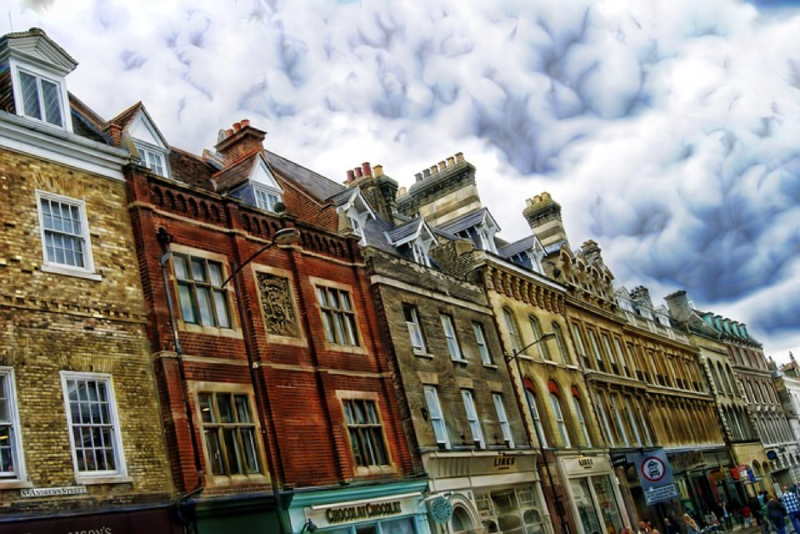 As an independent survey often carried out by an architect or surveyor who is an expert in older buildings – associated problems can quickly be identified. Becoming educated about the history of your property, and making routine checks are simple ways in which you can ensure your beautiful character house remains safe. A well-maintained property will not only keep its value, but also provide you with a more comfortable home.